A collection of our best articles for all stages of divorce and a great place to start if you are feeling lost in the process. First-hand accounts from divorce survivors, attorneys and other experts to give a realistic view of what to expect during divorce. A variety of additional links, including other informational websites, a divorce app, child support calculators and more. 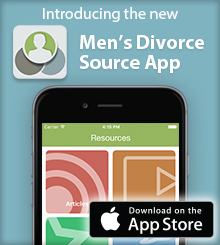 Get tips and support from other men who have been through divorce in the past. A great place to ask specific questions.